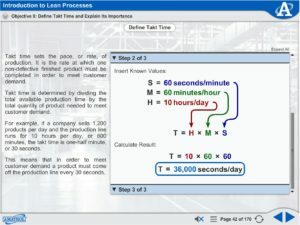 This Lean Manufacturing training course (MXLM204) covers Lean Production, Little’s Law, maximizing resources and reducing wasteful activities, Kanban System types and operation, the purpose of inventory in a Kanban System, Lean Production scheduling, flow production, and cellular manufacturing. 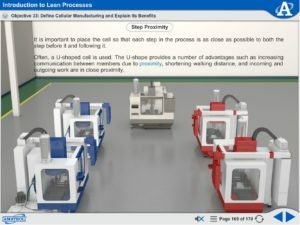 This segment covers an array of foundational Learn Manufacturing concepts and their importance. Subjects include: Lean Production (Just-In-Time), Lead Time, Throughput, Process Cycle Time, Work-In-Process Inventory, and Little’s Law. 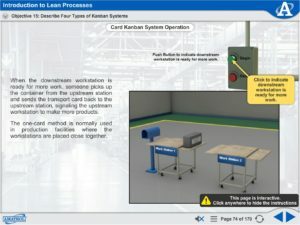 This segment deals with push and pull production systems, types of manufacturing operations, takt time, production capacity, and elements of a Lean Production System. 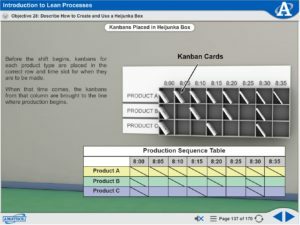 This segment discusses the functions and types of a Kanban System, Transport Kanban Cards, and Production Kanban Cards. 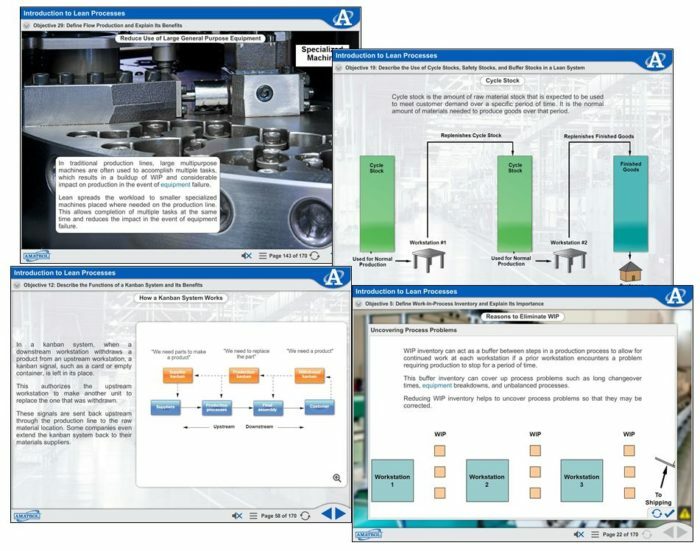 Students will then study the operation of Kanban Systems with production ordering and signal cards. 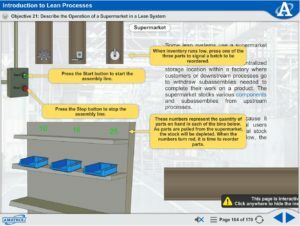 This segment covers replenishment interval; uses of cycle stocks, safety stocks, and buffer stocks in a Lean System; determining the number of required Kanbans; supermarket operation in a Lean System; point-of-use storage methods; and Kanban system operation rules. 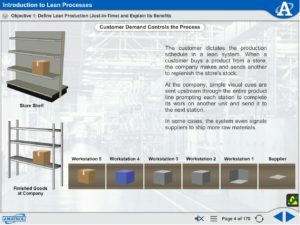 This segment deals with Lean Production scheduling methods, Heijunka, calculating pitch, pack-out quantity, and creating and using production sequence tables and Heijunka boxes. This segment covers flow production, line balancing, analyzing operator balance charts, cellular manufacturing, and how to balance production.